It has been a disappointing season for Andy Reid and the Philadelphia Eagles. Donovan McNabb and the Philadelphia Eagles parted ways prior to the 2010 season, but more than a year later both are struggling through a nightmare 2011 season. On the day that the Eagles lost to the Seattle Seahawks to ensure they wouldn’t have a winning campaign, their former quarterback was released by the Minnesota Vikings after a disappointing stint as their starting quarterback. 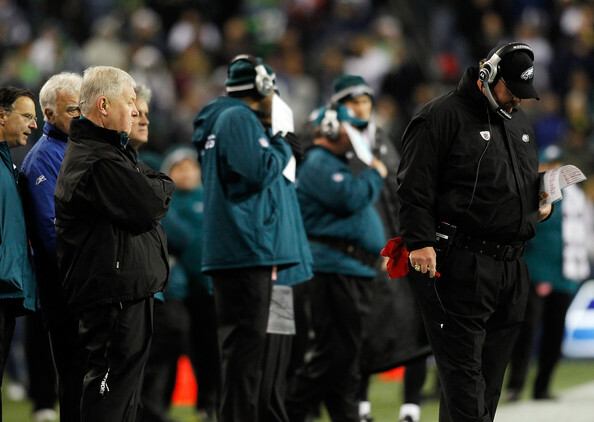 While the struggles of McNabb are only somewhat surprising, that the Eagles have self-destructed is a huge shock. One of the most aggressive teams in the free agent market during the offseason, the Eagles were dubiously dubbed the “Dream Team” by their new backup quarterback Vince Young. However, after starting with an impressive 31-13 victory over the St. Louis Rams, the dream season suddenly turned sour with four straight losses. The worst of these losses occurred on October 2nd when the San Francisco 49ers rallied from a 23-3 third quarter deficit to edge the Eagles 24-23 in front of a shocked Philadelphia faithful. 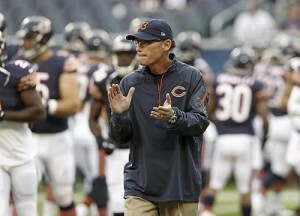 It appeared that head coach Andy Reid had righted the ship with back-to-back victories over the Washington Redskins and Dallas Cowboys, but close losses to the Chicago Bears and Arizona Cardinals were followed by a disappointing loss to the New York Giants and then the listless loss in Seattle. With the addition of pass rusher Jason Babin and cornerback Nnamdi Asomugha, defense was supposed to be the strength for the Eagles in 2011. 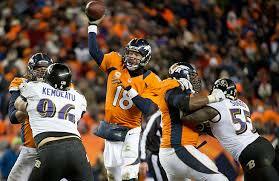 However, through 11 games the team ranked 19th in the league in points allowed and 15th in yards allowed. After surrendering 31 points to the Seahawks, they have now allowed 30 or more points to their opponents five times in 12 games. 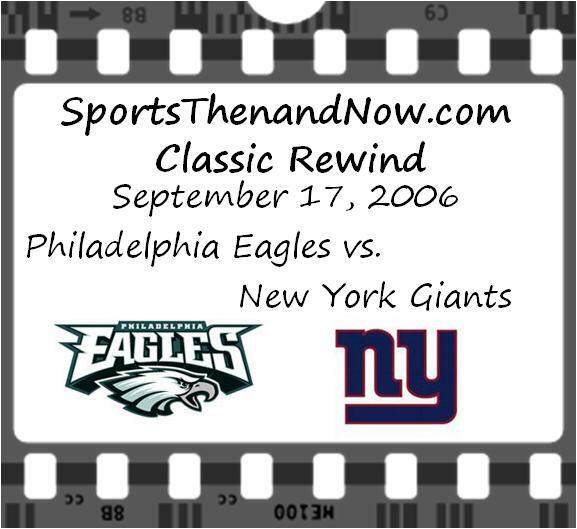 When it comes to the rivalry between the New York Giants and the Philadelphia Eagles, the “miracle” wins seem to always go to the Eagles such as their 27 unanswered points in the fourth quarter to knock off the Giants in 2010. 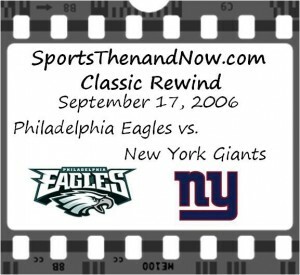 But in the second week of the 2006 season, the Giants had their own “miracle” win against the Eagles as they overcame a 17-point 4th quarter deficit to defeat the Eagles. New York was coming off an 11-5 season in which they won the NFC East Division only to be eliminated by the Carolina Panthers 23-0 in their NFC Wild Card Game at the Meadowlands. In that game, Giants quarterback Eli Manning was intercepted three times and threw for only 113 yards. Coming off that poor performance, Manning needed to come back strong in the 2006 season, which was his third in the NFL. Thankfully for Manning, he had running back Tiki Barber and wide receiver Plaxico Burress at his disposal as well as head coach Tom Coughlin, who was also heading into his third season in New York. The Giants’ 2005 NFC East title snapped the Eagles’ four-year reign as NFC East Champions as Philadelphia seemed too affected by a Super Bowl hangover in 2005 as they went 6-10 during the season and missed the playoffs for the first time since 1999. The Eagles and quarterback Donovan McNabb were hoping for a bounce-back season in 2006. Philadelphia got off to a good start as they won their season opener 24-10 over the Houston Texans while the Giants dropped their opener, a 26-21 home loss to the Indianapolis Colts. After their playoff debacle and Opening Day loss, Manning and the Giants were dire straits of a victory in Philadelphia. The Giants got the ball to start to the game and were able to get in the end zone on the seventh play of the drive when Manning found Amani Toomer for a 37-yard touchdown to put New York ahead 7-0 just 3:25 into the game. Instead of facing the Washington Redskins, Donovan McNabb will instead be wearing their uniform in 2010. It has been known for weeks that Donovan McNabb had played his last game as a member of the Philadelphia Eagles, but it is quite a surprise that he will remain in the NFC East for 2010. A trade between the Eagles and Washington Redskins was finalized on Sunday that will give the Eagles the 37th pick in the second round and a third or fourth round choice in the 2011 draft. That the Eagles would be willing to trade McNabb to a division rival seems to illustrate that the Eagles truly believe they are stronger under the guidance of fourth-year pro Kevin Kolb as in the six-time Pro Bowler McNabb. With three high caliber quarterbacks on the roster-McNabb, Kolb and Michael Vick-the Eagles had a backlog that needed to be purged. Will Tim Tebow be heading to Buffalo? The Buffalo Bills blogosphere is on fire. Every armchair GM in Buffalo is frothing with angst. What’s wrong with Buddy Nix? Why hasn’t he signed any big name free agents? Why hasn’t he leveraged his inside knowledge of the Chargers to pluck some of their best pieces to complete the Buffalo puzzle? And, oh my God, no! Tim Tebow! 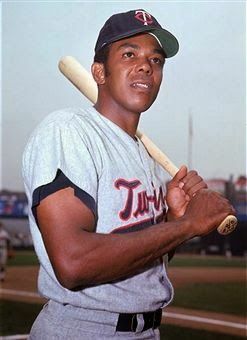 What does Jim Kelly think he’s doing, recommending and romancing this guy who obviously can’t be retooled for the NFL? Good thing Kelly doesn’t have any personnel authority at One Bills Drive. OK, all of you! Breathe! I was one of the biggest advocates for getting big names like Bill Cowher on board. I wrote an article here at ST&N and was interviewed on Buffalo radio about it.